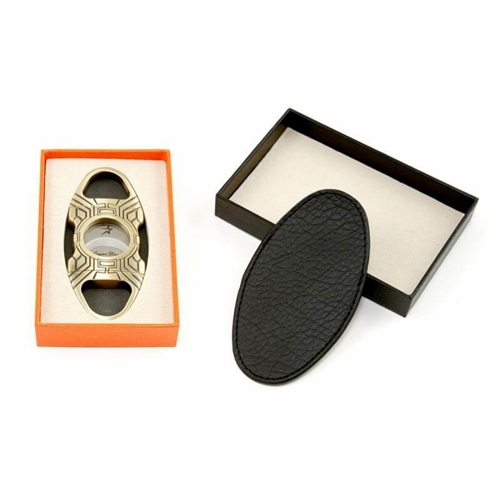 If you dream of living in a futuristic, modern era, then you'll find this Xzavis cigar cutter best suited to your liking. The double guillotine bladed design has space-age-engravings on a gold plated heavy duty surgical steel body. This is an unusual shift from the regular designs which would be complacent with the 1920's mobster reigns. But it's effective in keeping with the times. 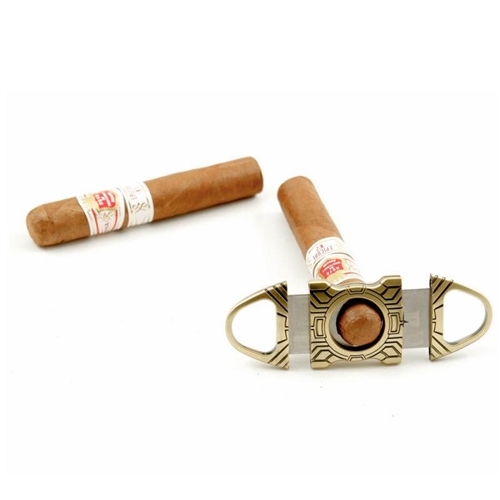 Cigar Star has incorporated razor sharp blades to make a perfectly clean cut up to a 60 ring gauge cigar. These blades are blades are also self-sharpening, which means they'll never become blunt. You can keep using it for as long as you like, and will provide the same clean cut every single time.